The government has sought views of two its top law officers on the formation of an all-India judicial service, an issue which is hanging fire since 1960 due to difference of opinion between the states and the judiciary. 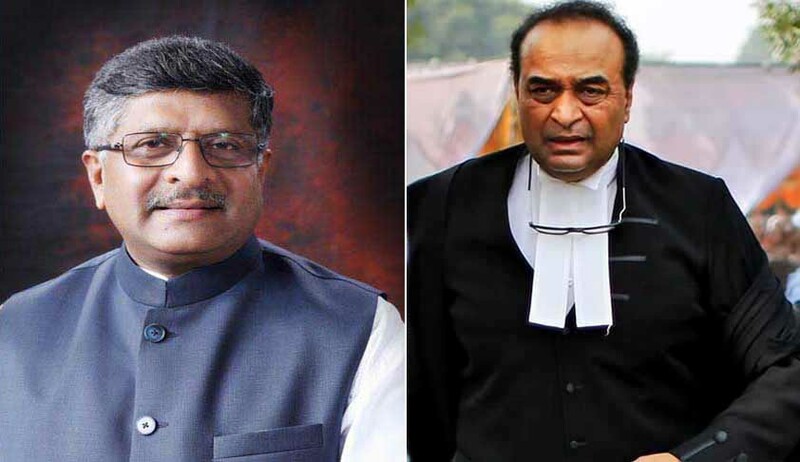 According to news agency PTI, at a recent meeting chaired by Law Minister Ravi Shankar Prasad, it was decided to seek the views of Attorney General Mukul Rohatgi and Solicitor General Ranjit Kumar on various issues concerning formation of All-India Judicial Services on the lines of other pan-India services like IAS and IPS. Both the law officers had attended the January 16 meeting along with other officials of the Law Ministry where the issue of an all-India service for judges was discussed, the PTI said. The Narendra Modi government has given a fresh push to the long-pending proposal to set up the new service to have a separate cadre for lower judiciary in the country. But there is a divergence of opinion among state governments and respective high courts on constitution of the All India Judicial Service (AIJS). One of the problems cited is that since several states have used powers under Code of Criminal Procedure (CrPC) and Code of Civil Procedure (CPC) to declare that the local language would be used in lower courts even for writing orders, a person say selected from Tamil Nadu may find it difficult to hold proceedings in states like Uttar Pradesh and Bihar. The other point of opposition is that an all India service may hamper the career progression of state judicial services officers. The Centre's plan to create a national-level judicial service, on the pattern of the All-India Civil Services has been supported by the Law Commission and a department-related Parliamentary Standing Committee on Personnel, Public Grievances, Law and Justice has supported the idea. In its 15th report, tabled in May, 2006, the standing committee had asked the Law Ministry to expedite steps to set up all-India judicial services to appoint district-level judges. As of now, while most government departments have all-India service recruits, selected after the all-India competitive examination conducted by the Union Public Service Commission (UPSC) every year, judiciary is perhaps the only set-up that doesn't have an all-India selection process. Almost all states have their own state-level judicial services, with successful candidates constituting the bulk of the subordinate judiciary. The issue was first discussed in 1960, but the plan has not taken off due to continued difference.